Lambing typically starts around one month after the shearing season. 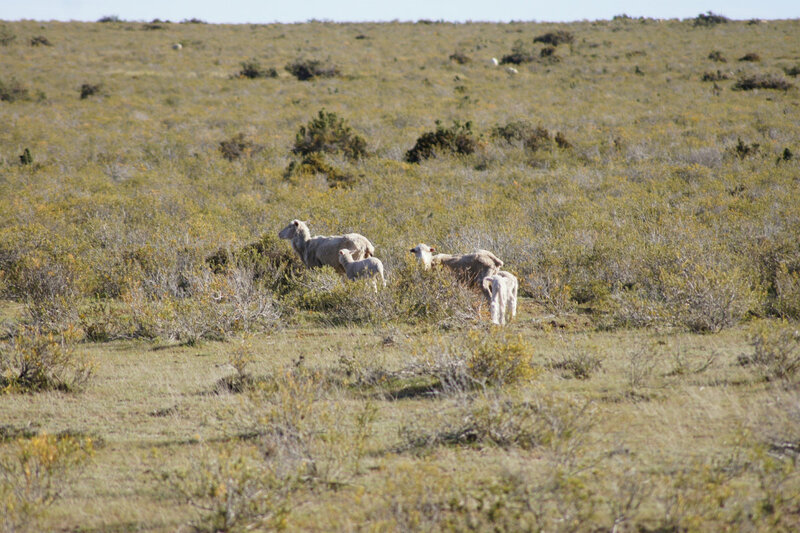 This means that ewes in the north of Patagonia start to lamb in September. The last lambs are born on our farms located in the south of the country, in November, as spring starts there much later. As the pregnant ewes have just been relieved of their wool, they feel comfortable and are in good physical condition for their lambs to arrive. The lambs are born in their natural habitat without any interaction with humans. 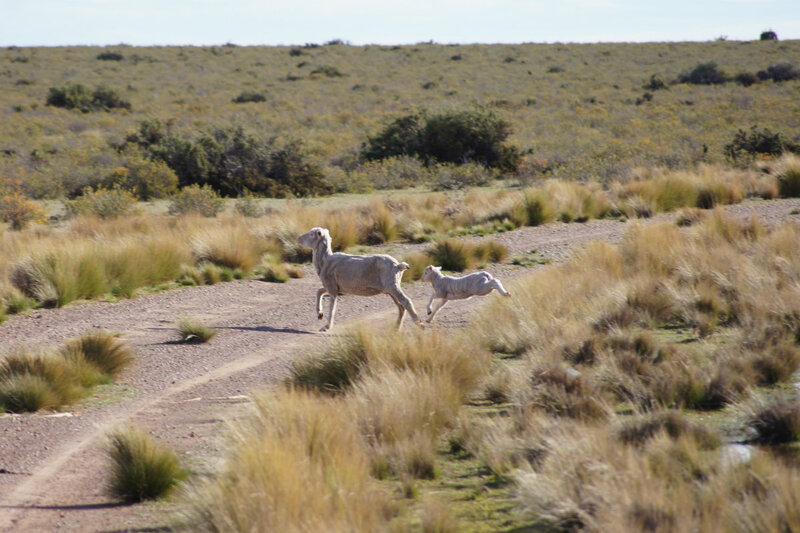 The majority of merino breed ewes give birth to one lamb only, very few have twins or triplets. Once the lamb is born the ewe licks it free of its amniotic fluids. Within the first 45 to 120 minutes the lambs stand up and start drinking milk. Lambs feed roughly every hour. They start eating grass at the age of 2 weeks. Sheep are in general very good mothers and take good care of their little ones. Ewes can identify their lambs through smell. If a lamb somehow gets separated from its mother they can also find each other again through bleating. The famous jumping of lambs that you often see on photos really happens. This is all about lambs just having some fun and playing especially in the late afternoon sun. While they just enjoy goofing around this also trains their bones and muscles. Our farm managers check up on all sheep on a regular basis to see if there are any orphans that need to be taken care of. However, if all goes well it is only after three months that our little lambs get in contact with us humans. At this age, the lambs need to receive their ear tags which is a legal requirement as it helps track animals in case of an animal disease outbreak. The lambs will stay with their mothers up to the age of 3 months. After that, they are independent and don’t need their mother’s support anymore. At this stage, the male lambs called weathers are also separated from the ewes to stay with the other rams until the next mating season. A small number of lambs are sold off to other farms or for meat consumption. At Fuhrmann, we typically keep three-quarters of our lambs.